How Did the Dead Escape? “I want those soldiers’ heads on a pike,” Pontius Pilate roared. “Dominus,” Legion Legate Prescennius acknowledged. There was commotion at the entrance. The doors flung open and the Praetorian Guard sprang to attention and parted their hastati. “To what do I owe this pleasure, Caiaphas,” Pontius Pilate said. “A court-martial?” the High Priest boomed. “Those soldiers’ dereliction of duty is glaring,” the Governor of Judea said. “It will spark mutiny from the legions…” Caiaphas countered. Pontius Pilate raised his head. “The one called Yeshua was not the anointed one. The people wanted salvation from the Roman rule. They wanted us to intercede to God to save them. They wanted the prophecies fulfilled. They were not patient enough. Thus, we had to give them hope… Yeshua was born. Pontius Pilate shifted in his seat. “Praefectus Castrorum!” the Consul gavelled. The Centurion continued. “I was the Tesserariu, and I stationed a Quarternion outside the tomb as I was ordered. A messenger from the governor came and handed me an edict directing I remove the body from the tomb I was guarding and hand it over to the High Priest. I went to the Temple and met Caiaphas the High Priest. “When I returned, I found the harlot from Magdala, Maria, consorting with the guards, drunk. Two of them were asleep, only one at guard. There was an empty bottle of Blue Lotus. “I woke up in the morning when I heard the Cornicen sounding reveille. 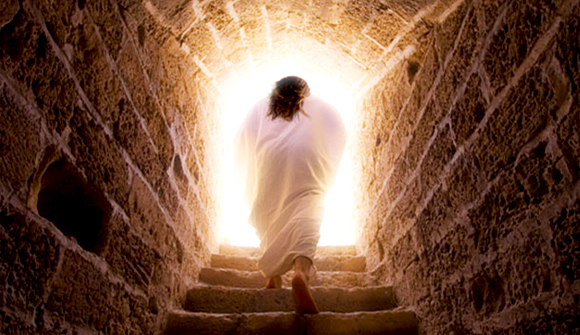 There were two priests in dazzling white clothes standing at the entrance of the tomb. They told me to go to the Temple and tell Caiaphas that it was over. “And where is the body of Yeshua?” the Consul asked. Hmmmm reads like a Dan Brown's story. I like the twist in the story, as regards the resurrection of the Christian's Jesus. Though there are lots of unfamiliar terminologies used in the story which made it quite difficult for me to flow easily with the story's diction. The glosssary at the end helped to some extent. More ink to your pen Vin. I like your comment--- "as regards the resurrection of the Christians' Jesus"... I have received lots of flagellation for it, others thinking it's true (I read weird Bibles) and well... I like reader-writers like you... at least you see the story.